The MacIntosh Plus was arguably the first truly great Mac. January 16, 1986: Apple introduces the Macintosh Plus, its third Mac model and the first to be released after Steve Jobs was forced out of the company the previous year. The Mac Plus is also the first Macintosh to include a SCSI port, the main way of attaching a Mac to other devices until Apple abandoned the tech on the iMac G3 upon Jobs’ return. The Mac Plus also boasted an expandable 1MB of RAM and a double-sided 800KB floppy drive. 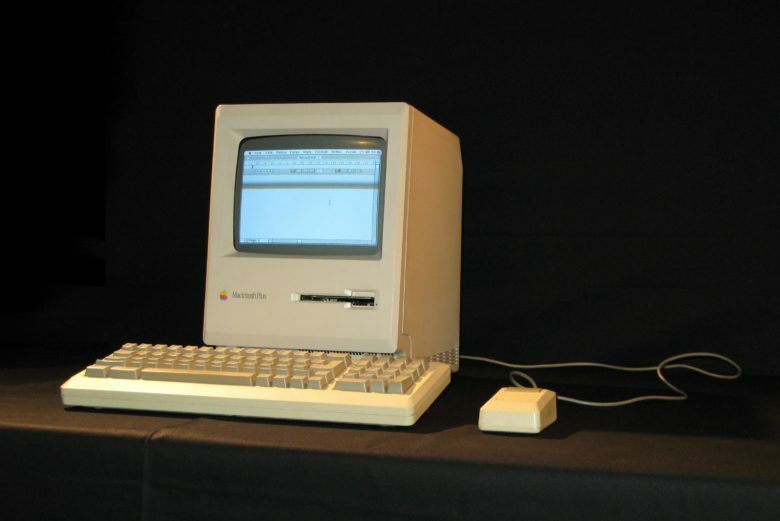 Although the computer came with a not-insubstantial 1MB of RAM (the first Mac came with just 128K), the Mac Plus went even further. The new design let users easily expand to 4MB using socketed RAM boards. This philosophical change — combined with the ability to add up to seven peripherals (hard drives, scanners, etc.) — made the Mac Plus a considerably better machine than its predecessors. Depending on when you bought it, the Mac Plus also supported some incredibly useful software beyond the usual MacPaint and MacWrite. The excellent HyperCard and MultiFinder let Mac owners multitask, using several applications at once for the first time. The Mac Plus also proved quite a hit in the lucrative education market. The Macintosh Plus was technologically superseded by the Macintosh SE and Macintosh II, which came the following year, but that didn’t slow it down. With the exception of a 1987 case color change from Putty (beige) to Platinum to fit with Apple’s new Snow White design language, the Mac Plus continued as it was until October 1990 — giving it a lengthy four years-plus lifespan. For many, this was the first Macintosh that didn’t simply hint at great things to come, but actually delivered them. Historically, its status as the first post-Steve Jobs Mac also makes it important. Did you own a Macintosh Plus? Did you own or use a Macintosh Plus at school or work? What are your memories of this groundbreaking computer? Leave your comments below. Oh, and beginning Apple’s long string of on-screen appearances in top Hollywood movies, here’s the Mac Plus in 1986’s Star Trek IV: The Voyage Home. In the scene, Scotty uses the Mac Plus to design a new ultra-thin aluminum, which would no doubt delight Jony Ive.